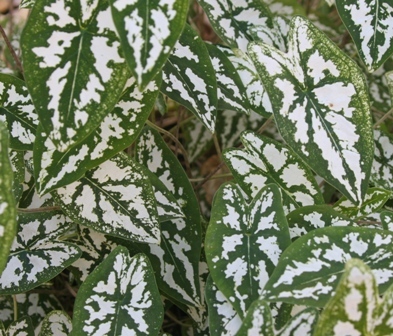 This little Caladium can brighten any area with it's delicate small green leaves mottled with white. Each leaf matures to about 2"-3" long and the plant will grow to 12"-14" tall. Brighter light will keep it even shorter. It also makes a terrific houseplant or summer addition to the garden border.